After 5 weeks in the field…my first blog!! EPHRAIM, UTAH — My apologies for not blogging sooner, but things have been very, very busy out here in the Sanpete Valley. I spent the first 4 weeks doing my usual summer teaching at Ohio State’s Geology Field Camp. This summer, we have 22 students — one of whom is Tricia Hall (’14). During her time at Wooster, Tricia spent 2 summers with me in Utah doing research that eventually culminated in her I.S. on deformation bands within the Sixmile Canyon Formation. She decided to pursue graduate studies at Ohio State, and her new advisor (Terry Wilson) is the director of the field camp. So, Tricia is currently completing field camp this summer before beginning her M.S. research in the fall. It has been wonderful for me to continue to teach her about the joys of Utah geology!! I’ve been teaching with a great cast of characters: Terry (OSU), Cristina Millan (OSU), and Dan Kelley (BGSU). We have had rotating faculty the past 5 weeks, and I have enjoyed every minute of teaching with them this summer. I always cherish these summer nights in Ephraim, because although they are filled with work, they are also filled with a ton of laughter. Days are long (6 am to 10+pm with students), so making sure that you are enjoying the teaching is paramount. 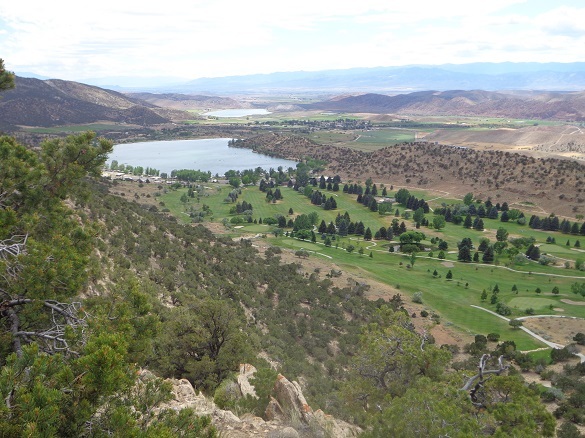 Below is a photo that I took from an overlook of Palisade State Park, with its golf course and swimming hole in view. One of our field camp exercises involves a cross-section W-E across the Sanpete Valley. This view to the SW encompasses much of the cross-section transect. Although I cannot give away any field camp secrets for next year’s class, I will say that there is some amazing geology here, with spectacular faults, folds, and unconformities. I was exceptionally excited, because its epicenter was on the flanks of the Wasatch monocline, where I did much of my dissertation research. Although we had several aftershocks, field campers only felt the one episode of shaking. It was a great educational moment, because Ephraim lies in the transition zone between the Colorado Plateau and the Basin and Range Province. This region exhibits some of the easternmost normal faulting associated with Basin and Range extension in Utah. Please look for additional blogs in the very near future. 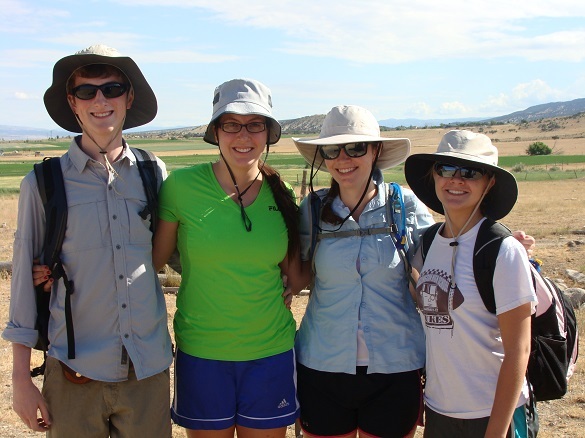 I currently am working with 4 Wooster students since finishing my teaching duties at field camp.